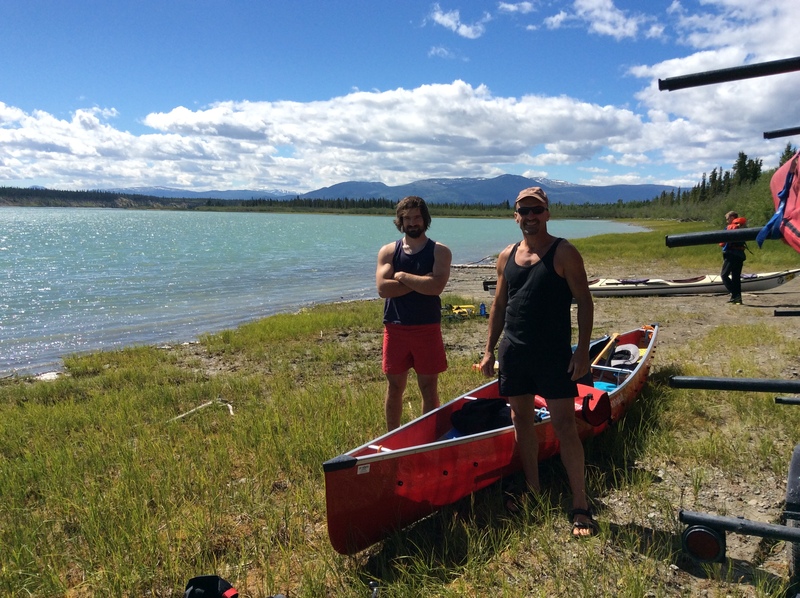 In 2014 Arthur and Philippe started at the Yukon River Quest under the team name „Paddler of Fortune“. The 715-kilometer (444-mile) wilderness adventure paddling race is held on the Yukon River from Whitehorse to Dawson City in Canada’s Yukon Territory. Held during the last week of June, the YRQ is the world’s longest annual canoe and kayak race. It is known as the “Race to the Midnight Sun,” as paddlers race round-the-clock under a sky that never gets dark. There are just two mandatory rest stops of 10 hours over the course of the entire event. Voyageur Outdoor Services supported the team with gear and logistics.